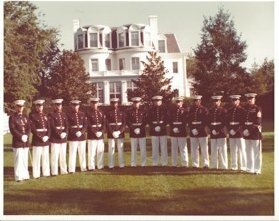 The White House in 1971. 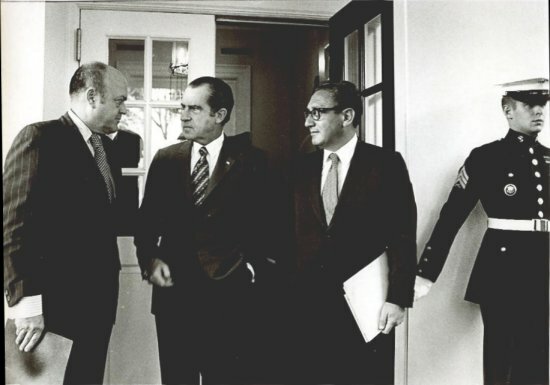 (L to R are): Melvin Laird (Sec Def), President Nixon, Henry Kissinger (Sec State) and Pete Heiss. 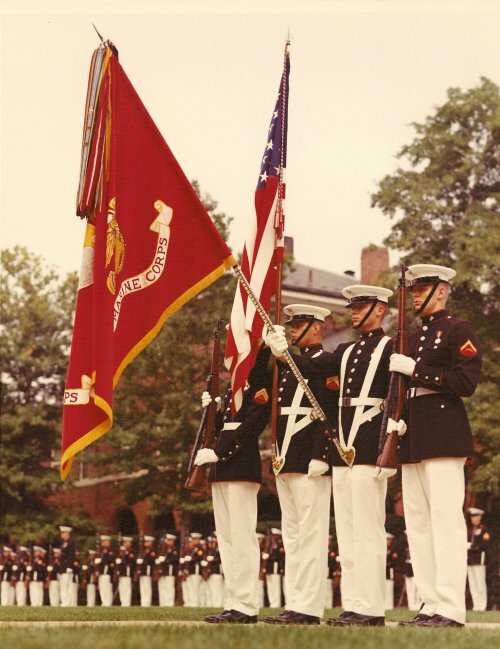 holding the Marine Corps Battle Colors. 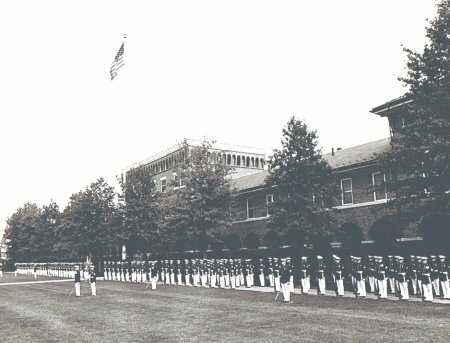 Members of the Silent Drill Team report for a tour of duty, have their weapons inspected, and take their posts at the Naval Hospital in Bethesda MD in June 1973, when President Nixon was hospitalized for pneumonia. 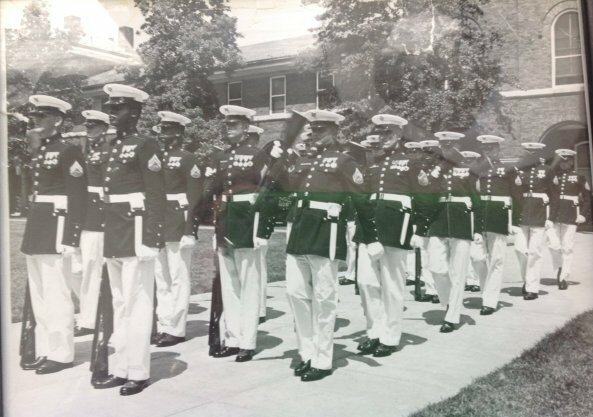 Melvin D Baker Jr, served at 8th and I Marine Barracks during 1972 - 1973, assigned to Camp David in 1974. 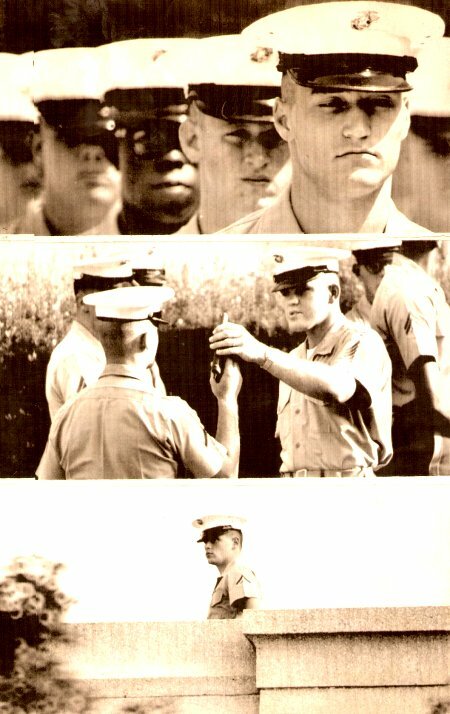 First photo is a platoon picture taken on the Parade Deck of 2nd Platoon MCI Company in 1970. 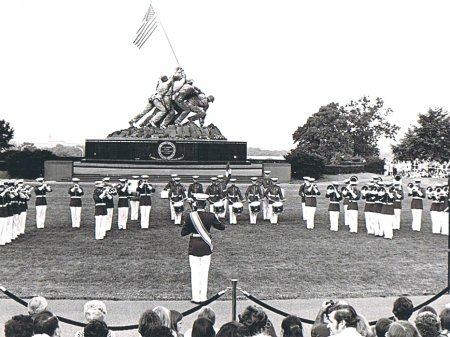 The other photo was taken during the "Pass In Review" at one of the Sunset Parades at the IWO Monument on Tuesdays. 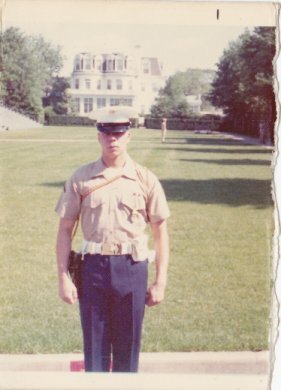 I was the 1/4 man in the platoon. 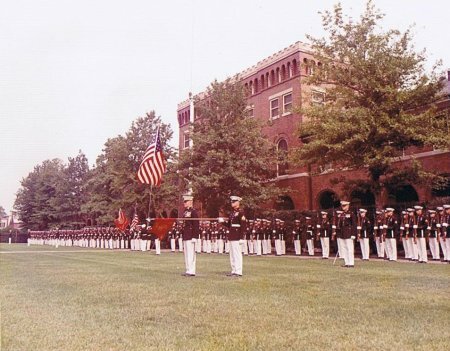 Photo taken on 15AUG1979, from the area of Center Walk, during the Pass In Review portion of the special parade held in honor of retiring Sergeant Major of The Marine Corps John R. Massaro. 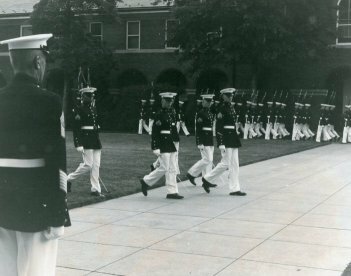 It had been Sgt Maj. Massaro�s wish that all officer billets for the parade be staffed by enlisted men. 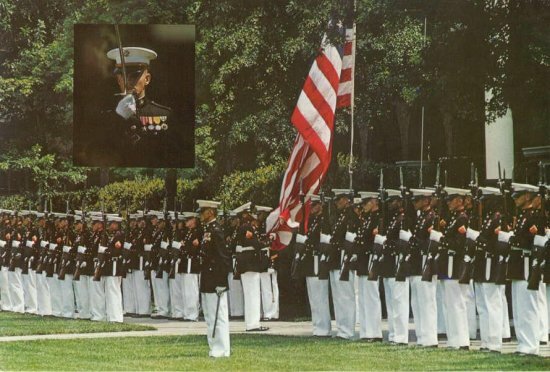 Shown left to right: right rear shoulder of incoming Sergeant Major of The Marine Corps Leland D. Crawford, Cpl. 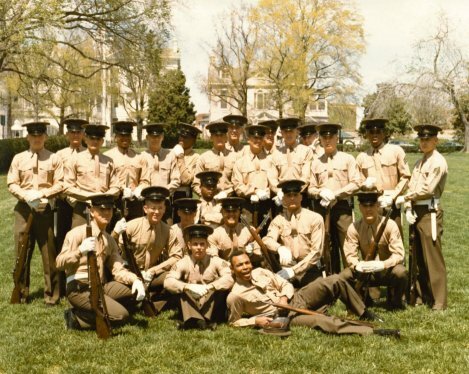 MB Brown, Cpl. CP Acree, hidden by Acree, Sgt RW Lockett, Cpl BC Doran, Jr and Sgt KW Trehan. 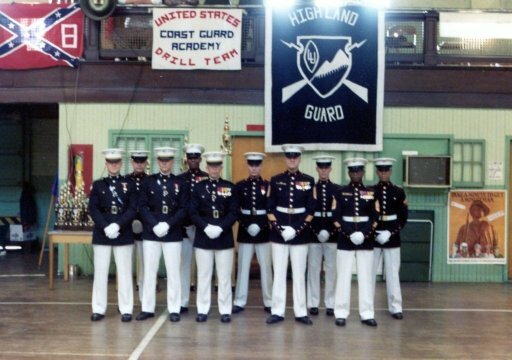 I had a great time serving with the Ceremonial Guard Company in Building 58. 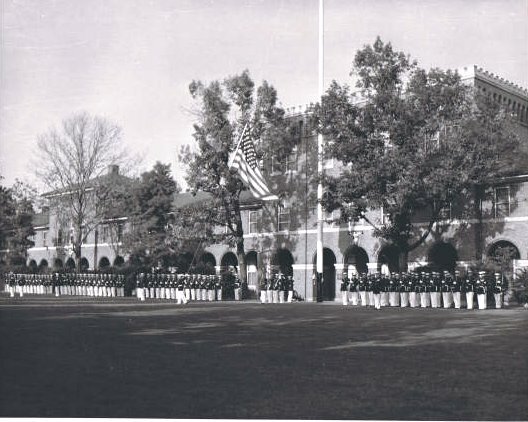 Although I spent most of my time with 1st Platoon and the Silent Drill Platoon/Team, I did a few other details along the way. One of them was a brief stint with the "Body Bearers." During the Christmas and New Year's holiday leave period in 1973-1974 I got shanghaied into carrying the casket bearing a retired three-star General into and then back out of the Chapel over at Arlington National cemetery. 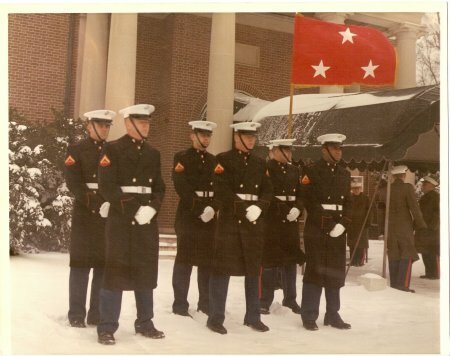 We then proceeded to the gravesite and placed the casket on the device that lowered it into the grave. 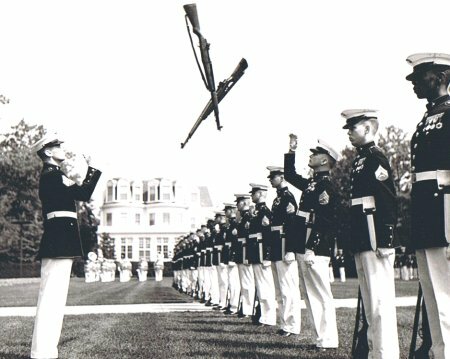 Luckily there were a few actual body bearers still there to show us how to do everything (including the folding of the flag). 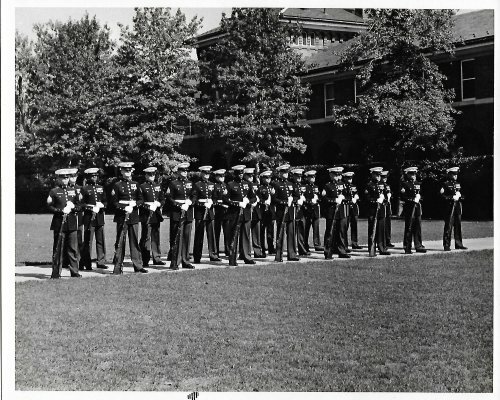 Ceremonial Guard Co., Silent Drill Platoon, Inspection Team, 3rd Squad Leader, 1970-72�. 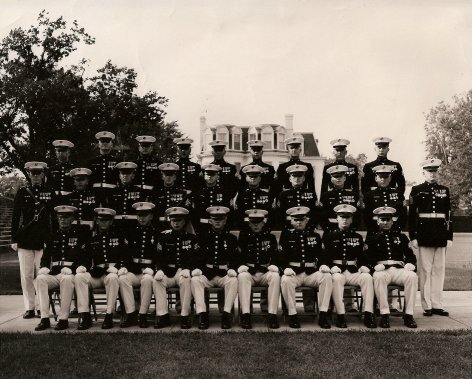 The Marines in this group were a bunch of 'hams' that loved the camera. 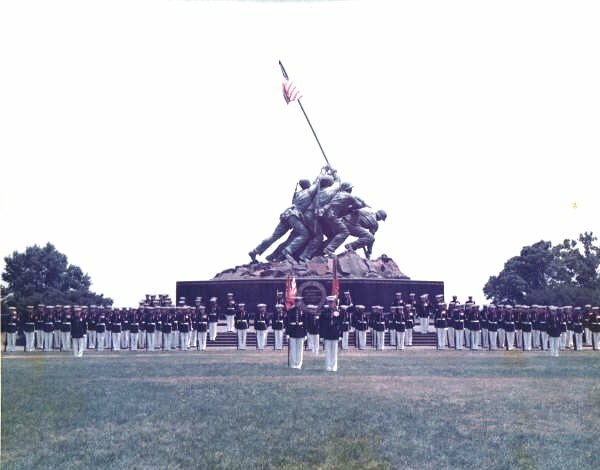 My dad is the good looking Marine kneeling down in the middle of the group. 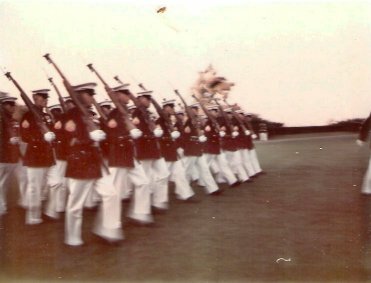 This is a picture of me leading the "Meat Grinder" with the Silent Drill Team in 1971. 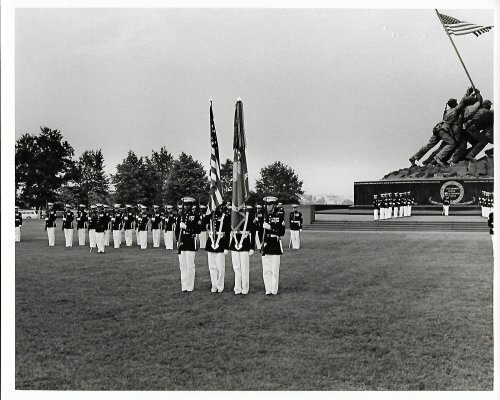 For David Wright's photos of the 1970's, Click here. 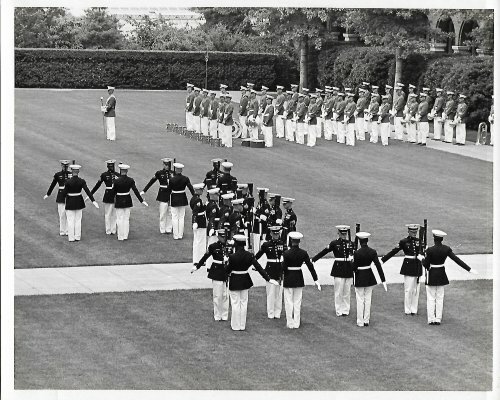 For Richard Bollwerk's photos of the 1970's, Click here.